The data or variables within the class are called as instance variables. The data or variables and methods which are within the class are collectively called as members of the class. Methods are defined as follows. void is the retutn type and dispValue is the name of the method. The name of the method and list of parameters is called as the signature of the method. Note 1: Return type of the method is not part of the method's signature. Note 2: In the above program the declaration of local variables hides (or takes precedence over) the value of instance or class variables. However, the values of instance or class variables can be accessed by using the keyword this along with the variable name. Declared and allocated within a block. Discarded on exit from the block. Not implicitly initialized to a default value and must be explicitly initialized. Declared outside of any methods. Implicitly initialized to a standard default value. Discarded when the object is garbage collected. static int bankID;// class variable. Instance methods: Instance methods can be used only with respect to the instance of class. Class methods do not require an instance of class to make use of methods. Class methods are defined using the key word-"static" in front of the method name. When java application is run with arguments given at the command line, the arguments are stored as an array of strings. The argument array is passed to the main method. Name of the method should be same for more than one method and the number of arguments/type of arguments should be different. The return type can be different as long as the method signature is different. When an object,s method is called, java looks for the method definition in object's class. If it can not find then it checks one level up in the hierarchy of classes. Consider a case where a method with the same signature is used both in the subclass and in the super class. In this case method defined in the subclass will be invoked. The method of super class is overridden. But if suppose the method defined in the super class to be used then super key word can be used along with the name of the method. If more than one class say class1 and class2 have some properties to be shared, then they could be defined in a single class say class0. Class1 and class2 then can use method definitions and variables from class0 as if they belonged to them. Class1 and class2 are called subclasses and class0 is called as parent class. This concept is called as Inheritance. This is achieved with the help of the keyword extends which will be followed by the name of the superclass. 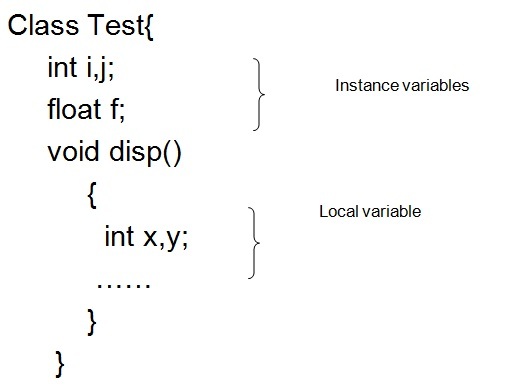 In java only single Inheritance is allowed. That means classes can inherit properties only from one immediate super class. 'this' is used to refer to instance variables and methods of the current class. Has 2 forms Calls the superclass' constructors used to access a member of the superclass that has been hidden by a member of a subclass. A constructor is the part of your class that helps build you a new instance of that class. A constructor should have the same name as the class. There can be more than one constructor method. But the number or type of arguments has to be different. Constructors do not have return type. The final modifier indicates that the entity cannot be changed. a final class can not be sub classed. a final method can not be overridden by another class. final variable cannot change its value. An abstract class has zero or more of its methods which are abstract. i,e; methods which has no body. Subclass has to override such methods by providing method implementation. Abstract class provides guidelines for the properties and methods of an object. If all the methods in abstract class are abstract, then it is better to implement as an interface. It is a collection of classes and interfaces of similar nature. These help us to group together similar classes. These define a boundary to see how classes and interfaces interact with one another. If the CLASSPATH is set then java will look only in those directories specified by the variable CLASSPATH.